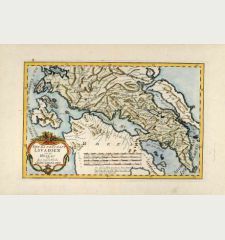 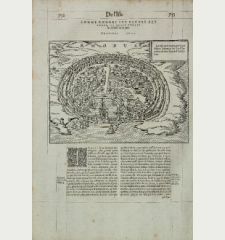 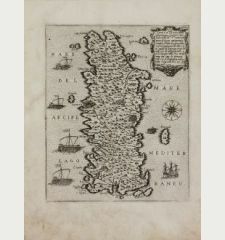 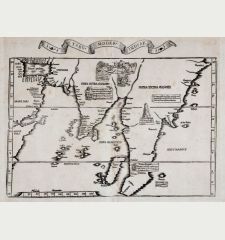 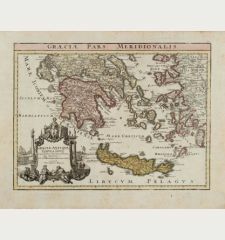 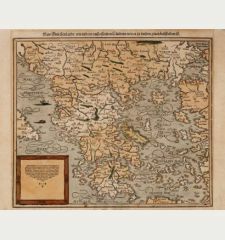 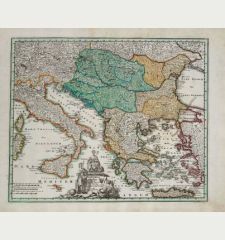 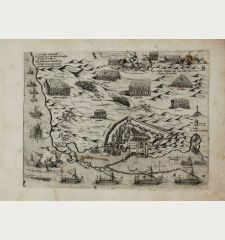 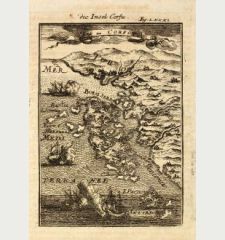 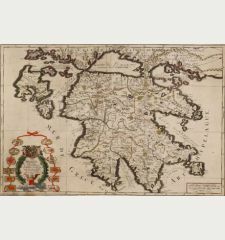 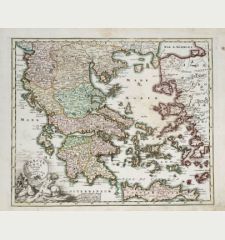 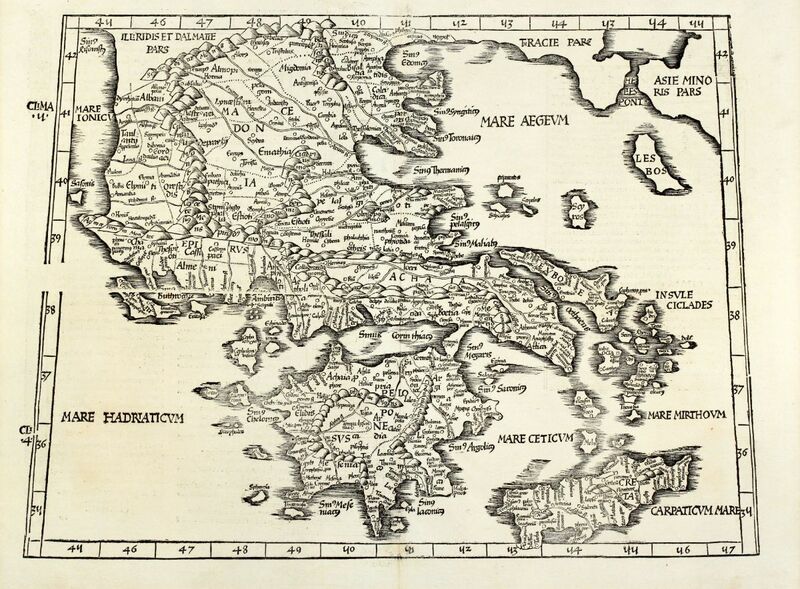 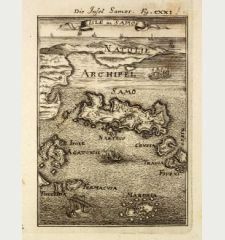 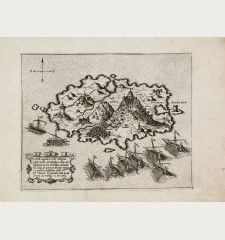 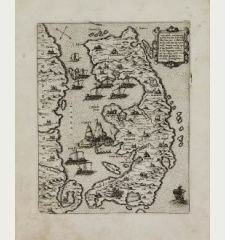 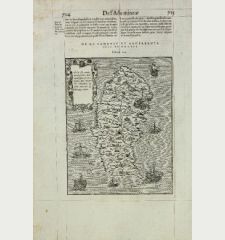 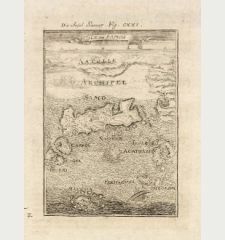 Trapezoidal woodcut map showing Greece by L. Fries. 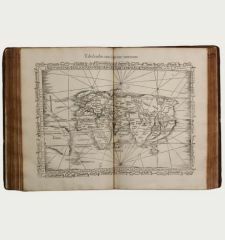 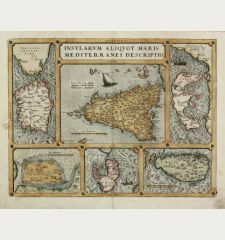 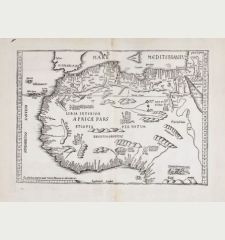 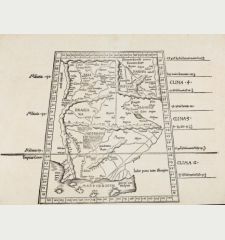 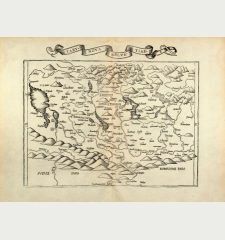 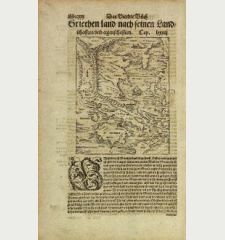 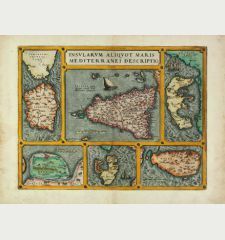 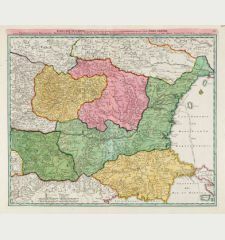 A reduced version of Martin Waldseemullers ptolemy map of 1513, from the 1525 Strassbourg Edition of Ptolemy's Geographia by Johannes Gruninger. 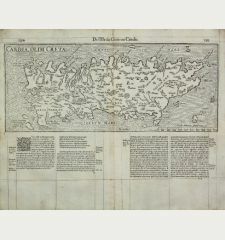 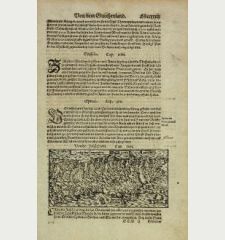 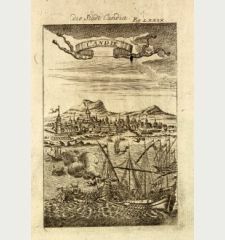 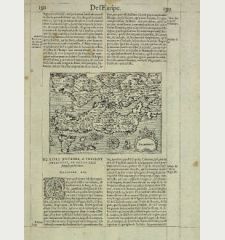 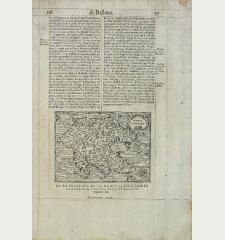 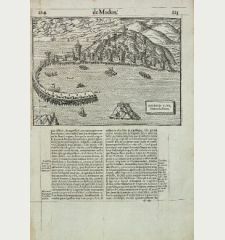 Verso with title 'Tabula X Europae' and text surrounded by woodcut decorations. 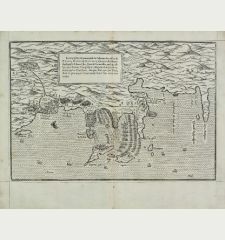 Two small wormholes at upper white margin, excellent conditions. 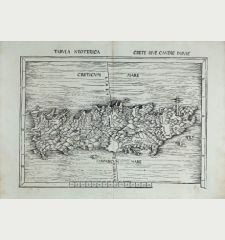 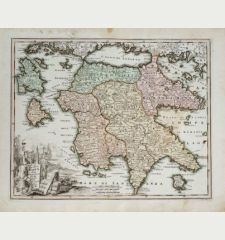 Laurent Fries: [Tabula X Europae].